Since game-based learning require much planning and careful design, and also tailoring the learning content to game structures, the uptake of game-based learning activities remains limited, as their construction often requires a significant amount of time, and the reuse capabilities of such activities are minimal. 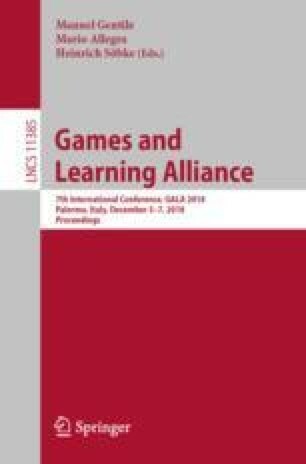 This paper describes how the different components of a gamified lessons path can be adapted and reused. In order to ensure the reusability of the different learning paths, a set of minigame templates has been used.